Convoluted is the denial. I haven’t seen Jacobovici’s The Jesus Discovery, but Chris Evans’ “refutation” is none at all. His article at Huffington Post lacks the specifics that would make the case, instead using props for credibility, like a critic‘s reputation. The critics admit it resembles a fish, but in their retort that there are other ossuaries with the same kind of object shaped like a fish, they actually strengthen Jacobivici’s observations. I have no opinion at all on the book, having only the article so far from Chris Evans, and I’d say it’s a good bet that Jacobivici offered his own disclaimers to the effect that it’s not “proven” beyond reasonable doubt that he found “Jesus'” tomb. But the “doubters” are not convincing either. That said, Chris Evans has apparently documented elsewhere the archaeological evidence for a very real Jesus Christ, which says something about our times more than anything else. That is, That someone has to document the obvious. Apparently Simcha Jacobivici is not making any more claim than that it’s just evidence of earliest Christianity. That makes the critics’ criticisms even more suspect, as if that were what they were trying to deny. Their biggest problem is probably with the Resurrection itself and the reference to the fish. I have learned something else from all this. I had always considered the early Christians‘ use of the fish as a symbol as a reference to Jesus’ call to Peter and James that he would make them “fishers of men”. 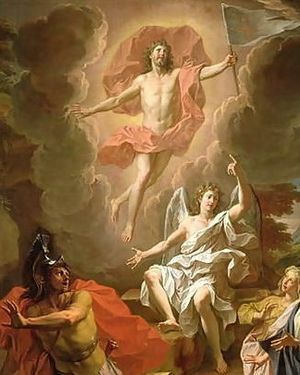 Now I see that it likely served a double reference, the other being to the Resurrection. Not only that, my (step)son that works at Miami International Airport and follows airline news a lot, says that the buzz is that Continental and United coordinated in some way to hurt American. Maybe but it’s not the whole story and not the biggest. The biggest item about American is that the federal government offered them money to help them supposedly avoid bankruptcy and they told the feds what they could do with it and preferred to go to the courts. It’s in the Goldilocks zone and they’re saying the temperature would be in range for liquid water, and they’re saying it has water. And “only” four times Earth gravity. MSN declares outright that it’s “habitable”, but space.com is not so certain. After all, astronomers have caught themselves naked with this declaration before. They only have a few more zillion-to-one odds to knock down before they can actually make the claim of course, as Guillermo Gonzalez pointed out in his book “Privileged Planet”. Jules Verne talked about Moon Men, H. G. Wells had aliens coming from Mars, then we got life starting in comets, now there’s the extrasolar planets. But Drake’s equation bites the dust. Oops it’s a triple-star system. Better a sun and a moon. A BIG moon. Posted in Uncategorized | Comments Off on Occupy THIS! Another in the list of things we would never have known if not for the alternative media. There is screen-shot proof at the link above that the powerful plutocrats at entrenched Establishment media have blacklisted Ron Paul. This campaign by Big Crony Corporate Media reminds me of an old Jefferson Airplane song with a title about finding somebody to love. Then you are waking up! Wake up America! 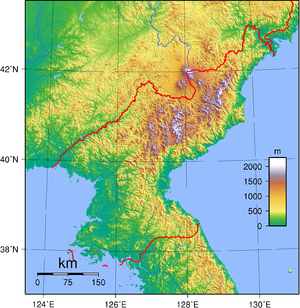 But would they omit the effective and well-known work of Helping Hands Korea, led by Tim Peters, missionary and father married to a Korean national? He works with refugees from the North, works with North Koreans still in the North, and regards his advocacy activities as a mission field, just as William Wilberforce in 18th and 19th century Britain made of abolishing slavery. He helps to organize a new “Underground Railroad” to help their escape to freedom, supports those who decide to go back into North Korea with the politically liberating message of the Gospel, and testifies before the U.S. Congress, European parliamentary bodies and United Nations agencies to encourage more action. You cannot believe what the Old Media tells you about the Republican nomination campaign or Ron Paul. 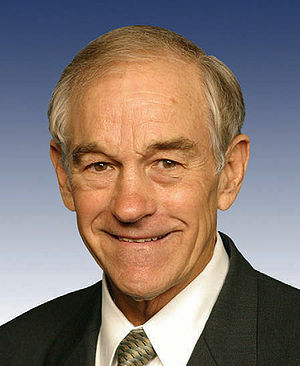 Like Josh says, if Ron Paul didn’t have any chance, they would not be talking about him. The Daily Bell – Zimmerman’s Apology? Apology it was not. An apology is saying “I’m sorry for what I did”. But by characterizing it as an apology, news reporters implicate Mr. Zimmerman in confessing to murder, which he certainly didn’t do. It’s maybe a bit subtle, almost subliminal, but any psychologist will tell you the selection of what words you use makes a difference in the hearer’s ears. Salesman study it, a real phenomenon. Posted in Uncategorized | Comments Off on The Daily Bell – Zimmerman’s Apology?